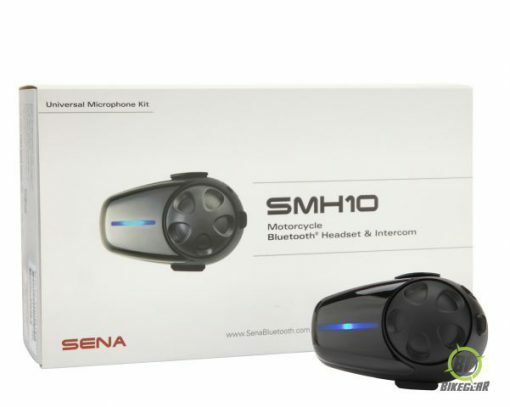 The original classic intercom communicator for helmets from Sena Bluetooth remains a best seller in South Africa thanks to its intuitive biker friendly design. The SMH10 is a Bluetooth 3.0 stereo music and intercom  headset with a 900 m range designed specifically for motorcycles. Make and receive calls, hands-free on your Bluetooth mobile phone, listen to stereo music or voice commands from a GPS and conduct intercom conversations in full duplex with a passenger or fellow motor cycle riders. The Sena SMH 10 also features advanced digital signal processing ensuring the best rated sound quality for both incoming and outgoing sound in its class. Coupled with the easy-to-access Sena jog dial,  the SMH10 is the  perfect accessory for motorcyclists who seek a hassle free bike communication system. Bluetooth intercom up to 900 meters (980 yards). Bluetooth pairing for dual mobile phones. 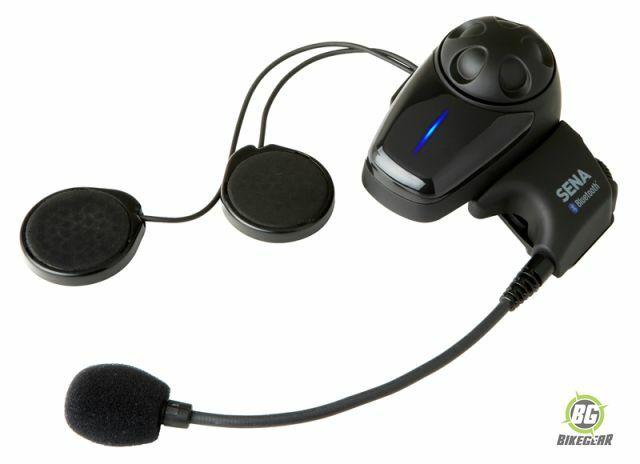 Bluetooth stereo headset for Bluetooth audio devices such as MP3 players. Easy operation by versatile Jog Dial (Patent acquired). Sufficient sound level with integrated audio booster. Bluetooth hands-free for Bluetooth mobile phones. 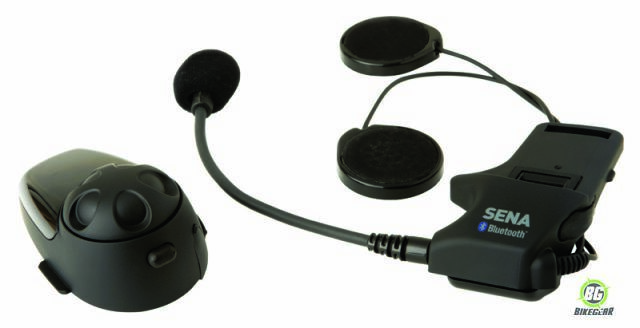 Bluetooth headset or stereo headset for Bluetooth GPS navigation. Stereo music by 3.5 mm audio cable. Crystal clear and natural sound quality. Up to 12 hours talk time, 10 days stand-by time. Can be used while charging on road trips. Peace of mind – thanks to the two-year warranty in open terrain.